In today's electronics business, managing an ESD progranris an integral part of a complete quality program. In fact, any electronics firm without an active ESD program puts itself and its customers at risk. This book illustrates one good example of the detail and dedication to quality that AT&T expects within its own operations and from its suppliers. 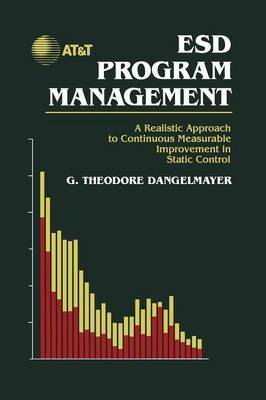 Writing of the book began at a time when Ted Dangelmayer was burdened with many demands. These demands were from AT&T's own operations, internal suppliers, external suppliers, customers and others looking for a better understanding of the phenomenon of ESD, its impact and, most of all, ways to control and manage it. In a way, this book is a response to these demands by making available a reader friendly document that distills the hard-won experiences of Ted and AT&T. The information and methods in this book have been gained at no small cost and produce results that far exceed eXRenses. There is, however, a caveat: Success will not be obtained unless there is real management commitment. This means management must allocate the necessary resources and provide active support to ensure that training, auditing, reporting, tracking and an aggressive corrective action program all take place successfully. Ted is an internationally recognized authority, and you will benefit greatly by listening to his advice and following his recommendations.